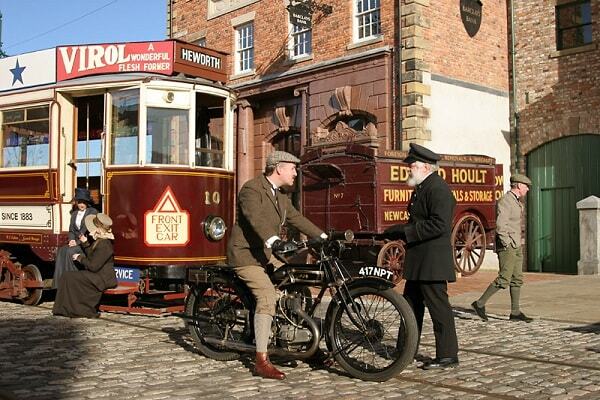 Beamish began as the vision of Dr Frank Atkinson, today it is one of the best Open Air Museums in the World! Beamish was the vision of Dr Frank Atkinson, the Museum’s founder and first director. Frank had visited Scandinavian folk museums in the early 1950s and was inspired to create an open air museum for the North East. He realized the dramatically-changing region was losing its industrial heritage. Coal mining, ship building and iron and steel manufacturing were disappearing, along with the communities that served them. Frank wanted the new museum to “illustrate vividly” the way of life of “ordinary people” and bring the region’s history alive. Beamish remains true to his principles today and brings history to life for hundreds of thousands of visitors each year. They are working with communities across the North East on this amazing project, which will see the living museum grow. People will go back to a time in living memory, the 1950s, and share memories of what life was like. By 2021, they plan to attract 100,000 more visitors to the region annually and create 95 permanent jobs and 50 apprenticeships.